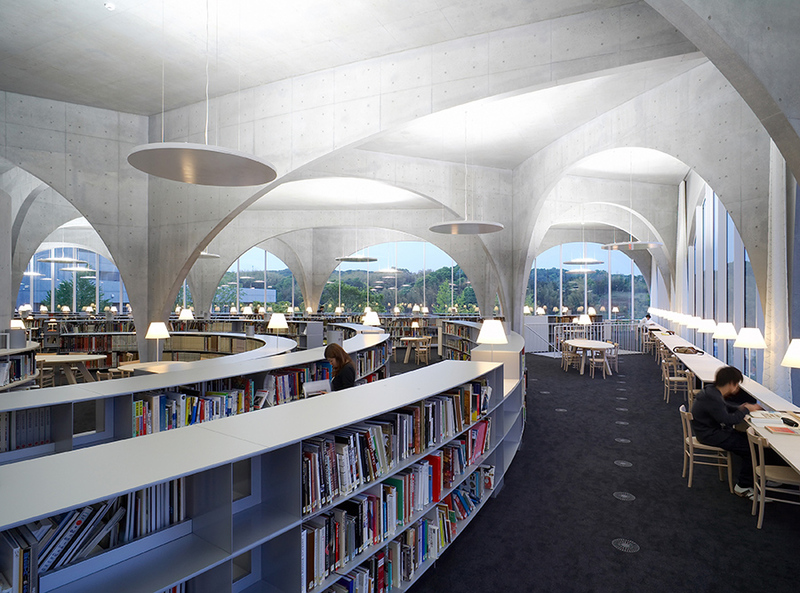 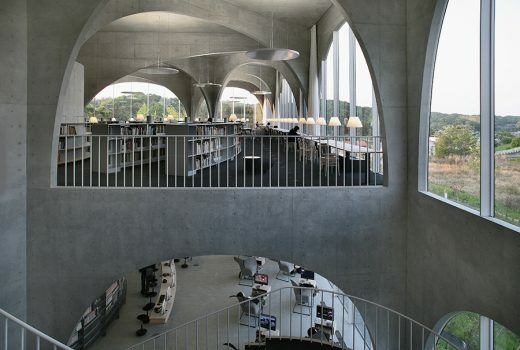 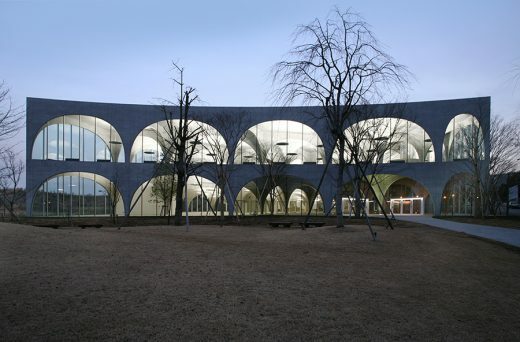 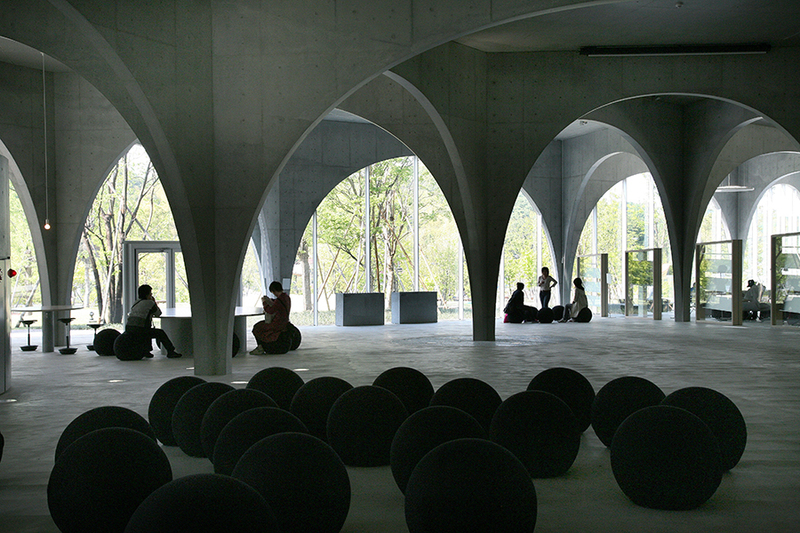 This Japanese educational building is characterised by a series of arches. 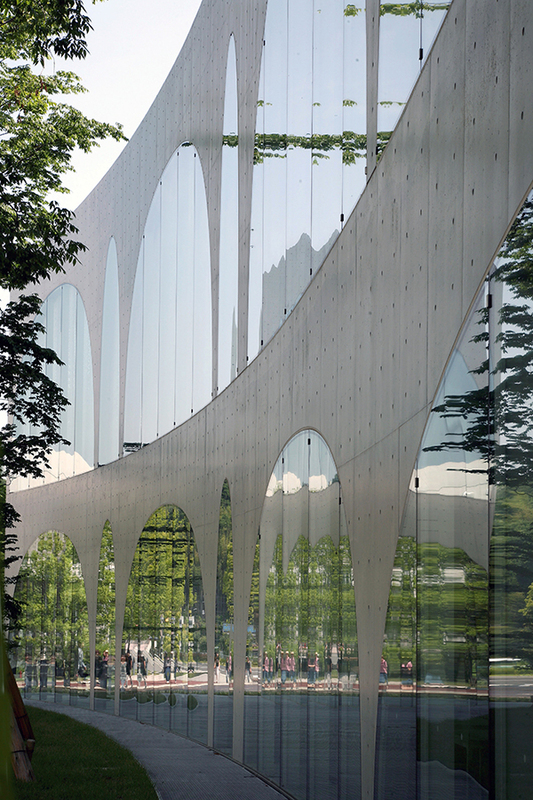 The effect is striking, using the rhythms of the facade to create a strong architectural impression. The arches are generous in proportion and leave slender structural elements, thus creating a light overall feel to the architecture. 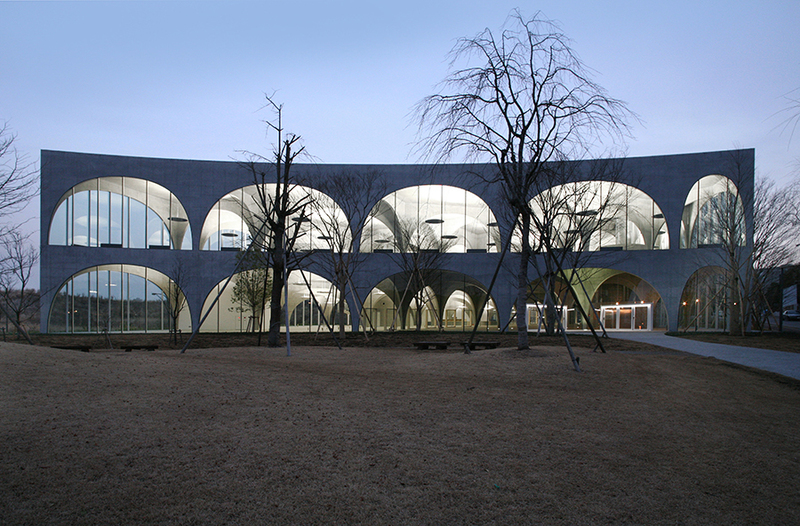 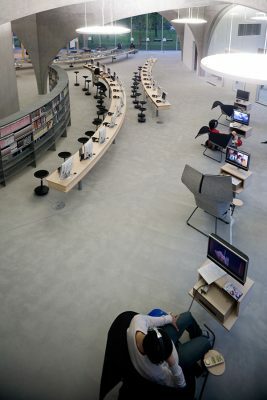 Japanese architect Toyo Ito won the Pritzker Prize – the major international architecture award – in 2013 and has a strong international reputation amongst architects.